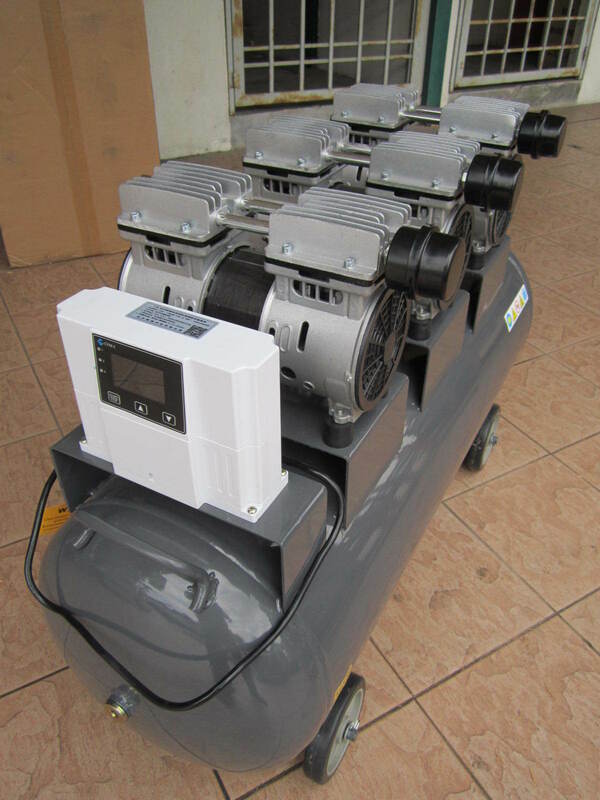 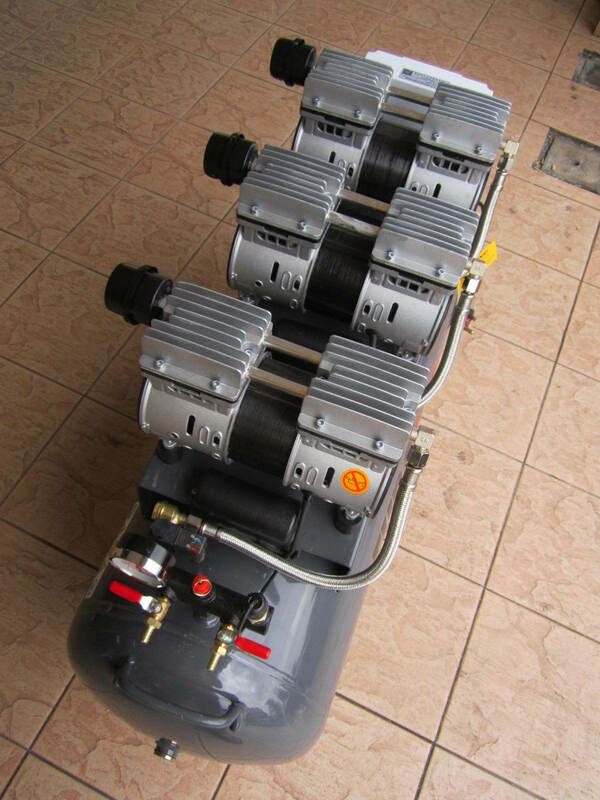 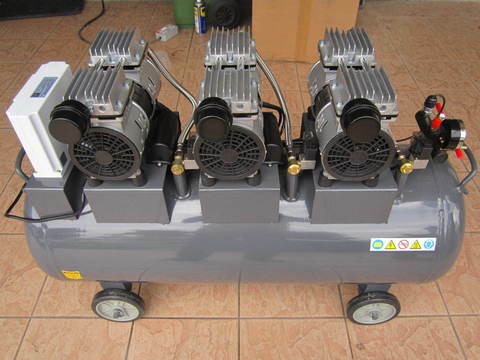 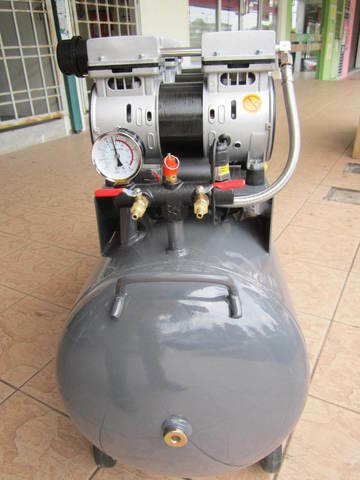 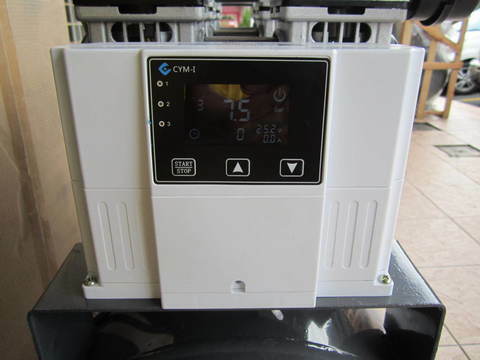 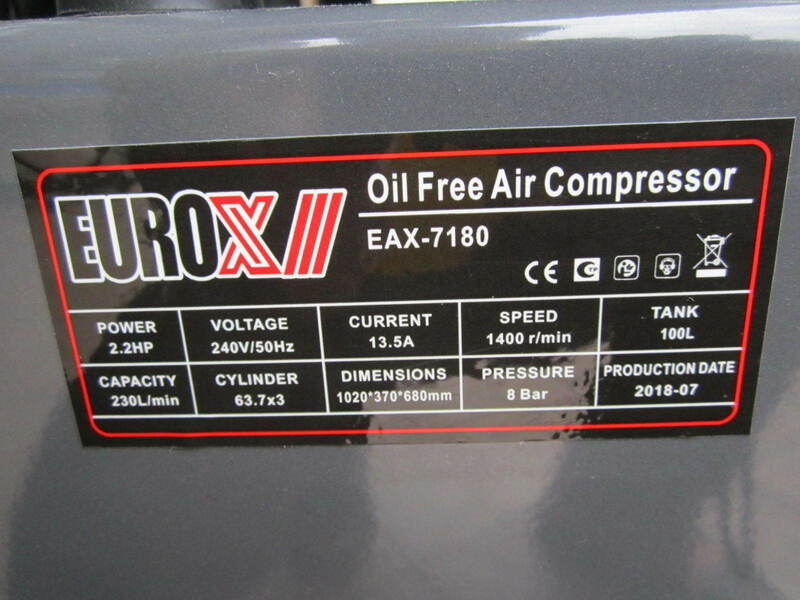 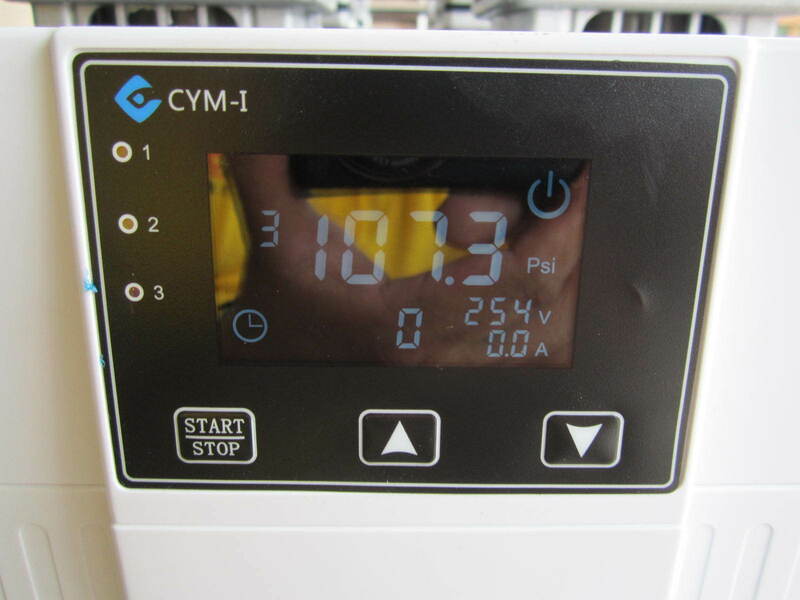 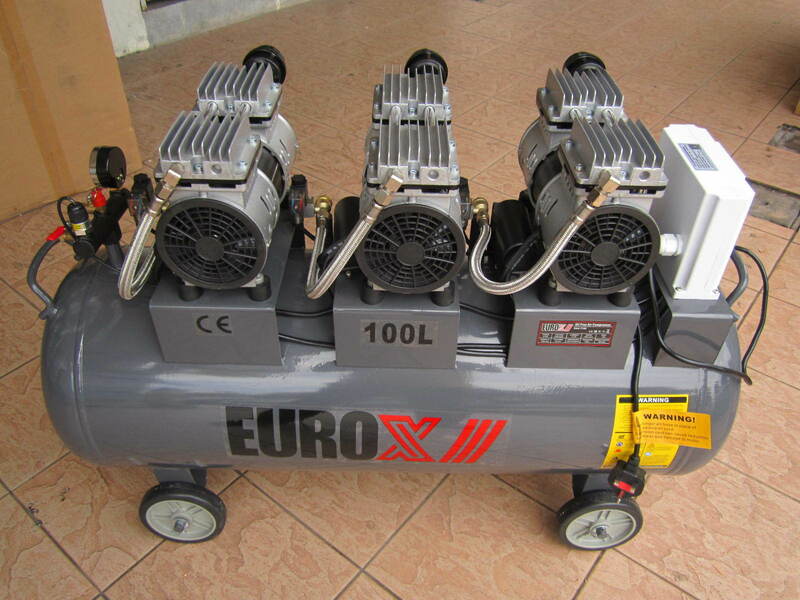 Euro X EAX-7180 (1.65kW) 2.2HP Silent & Oil-Less Air Compressor.. 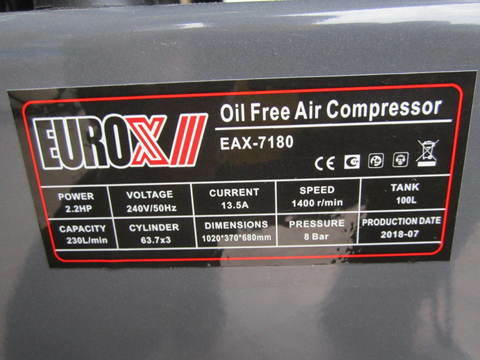 These Euro-X Oil-Less Air Compressors are direct drive with a highly efficient pump and 3 x heavily wound 2.2 horse power motors. 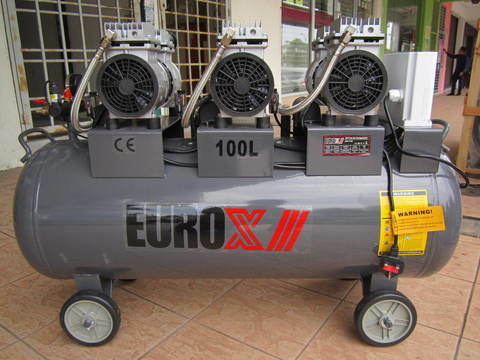 Featuring a 100 litre tank and delivers 230 litres per minute of free air delivery. 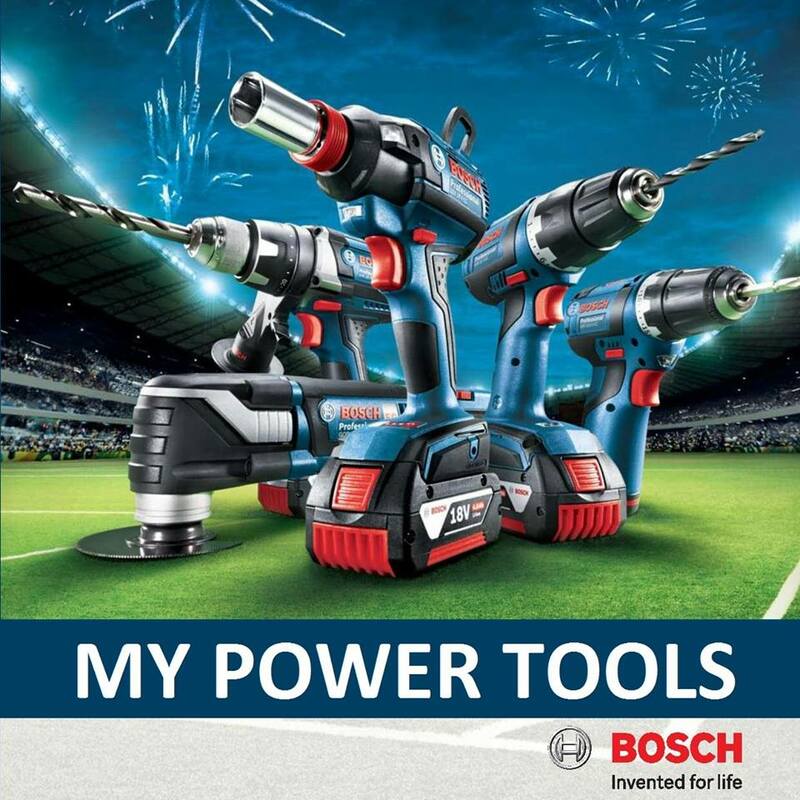 PRICE RM1,650.00..(Euro Power the professional of quality)..